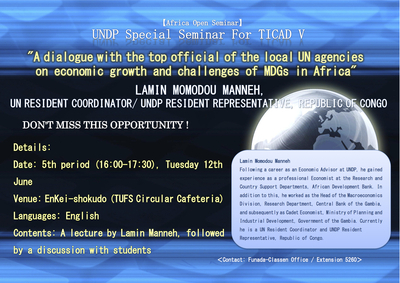 growth and challenges of MDGs in Africa"
DON'T MISS THIS OPPORTUNITY ! Gambia. Currently he is a UN Resident Coordinator and UNDP Resident Representative, Republic of Congo.